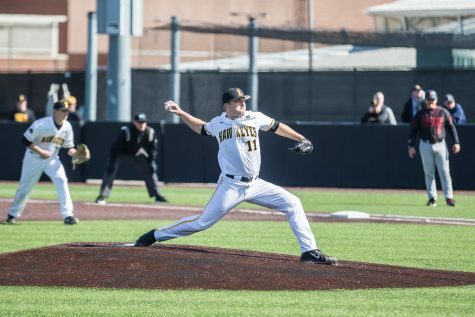 Iowa baseball ended up splitting its previous weekend series against Hawaii thanks to strong wins in Games 2 and 3. After the first contest (Hawaii 7-1 win), the final three games were decided by 2 runs or fewer. 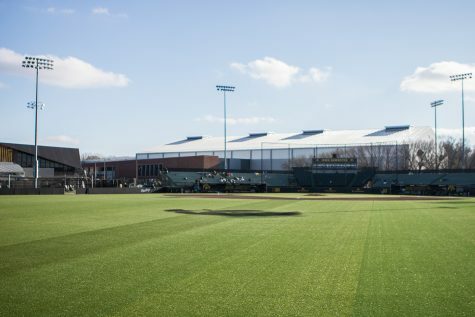 All in all, Hawaii outscored Iowa, 27-24, in a weekend of entertaining baseball. 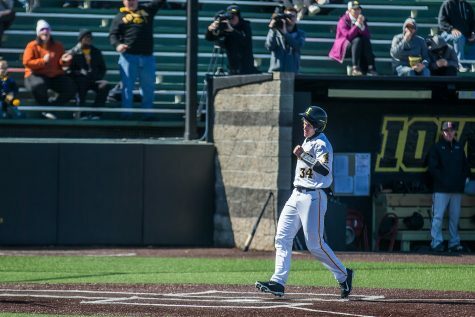 Coming off a game against Marshall on Feb. 17 that featured 10 runs and 11 Hawkeye hits, Iowa wanted to the momentum into the series opener in Honolulu. Instead, the Hawkeye bats fell flat. 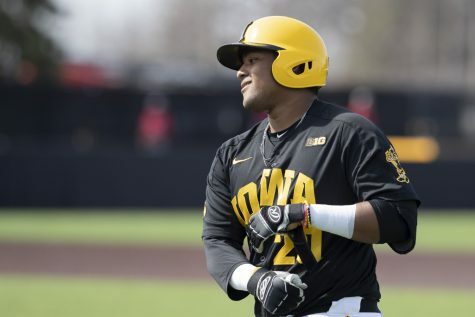 Iowa had six players with at least three at-bats and combined, they finished 3-for-20 and struck out six times. Meanwhile, Hawaii gave Iowa 17 free bases, but the offense just could not come through. The Hawkeyes more than tripled their hit count from the first game to the second. 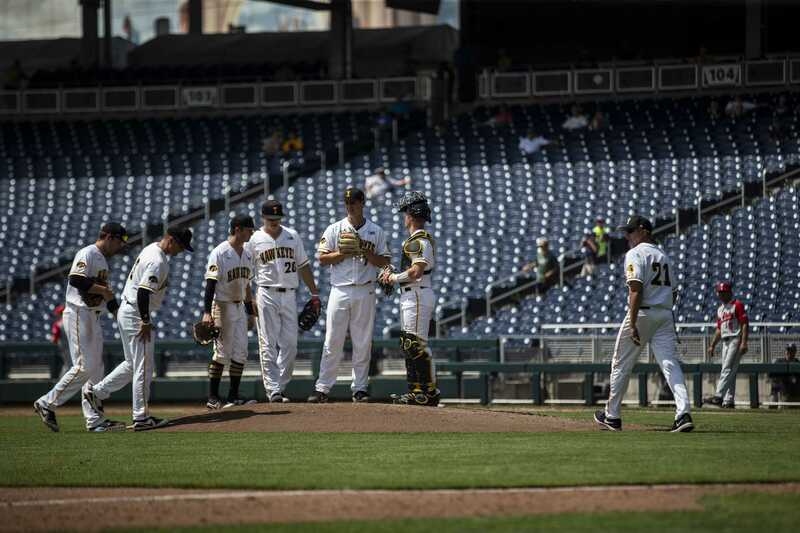 Iowa’s offense never regressed to its 1-run state for the rest of the series. Austin Martin and Zeb Adreon looked sharp in the second game. Each finished 3-for-4 with an RBI. 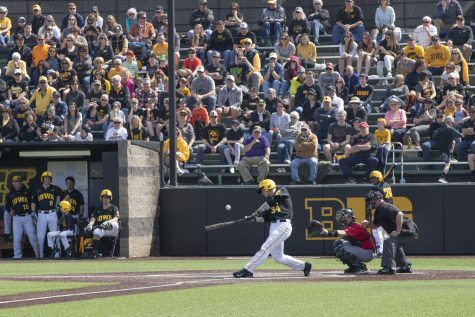 In total, five Hawkeyes had at least 2 hits: Martin, Adreon, Izaya Fullard (2-for-5), Tanner Wetrich (2-for-5), and Justin Jenkins (2-for-4). Fourteen hits in 39 at-bats isn’t too shabby. 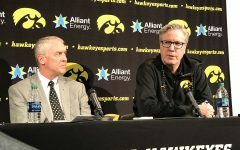 During Iowa’s media day before the season’s start, Heller said he recruited Hoffman for a reason: to stabilize the losses in the back end of the bullpen. In the second game against Hawaii, he did just that. Jack Dreyer and Duncan Davit combined to give up 7 runs on 6 hits in 2.1 innings. 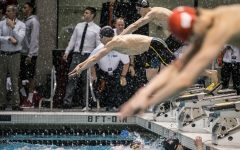 Heller inserted Hoffman, who notched the win, and the Hawkeyes settled down immediately. 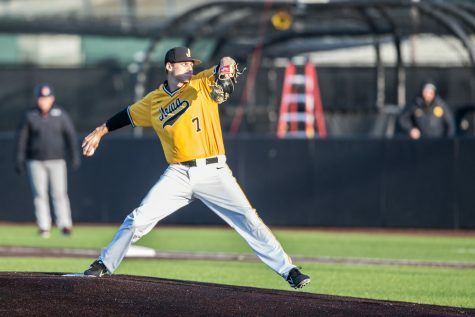 Hoffman, who led the country with 13 saves during his sophomore season at Southeastern Community College, only allowed 1 hit in his 3.2 innings — a big boost against a Rainbow Warrior team that appeared to be primed for a red-hot outing after jumping ahead, 7-3, in three innings. 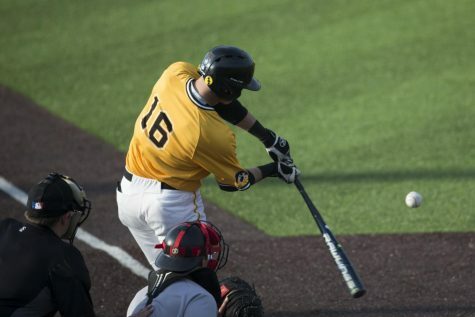 Down 2-0 in the third game, Iowa’s offense needed a spark. Wetrich delivered, hitting the first grand slam of his life. “It’s tough to get one out of [Les Murakami Stadium], but I happened to get a barrel on it, and it went,” he said after the game. 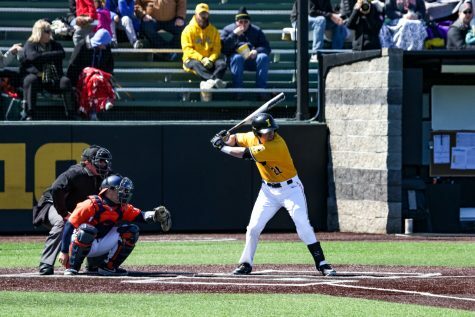 Wetrich’s grand slam was his only hit of the day and one that gave Iowa a lead it never relinquished. Runs were hard to come by in that game; after Wetrich went yard in the third inning, neither team scored until the eighth. Grant Judkins gave up just 1 run in his 5 innings on the mound, striking out 3. However, after he departed, Trenton Wallace and Adam Ketelsen allowed 5 runs in 1.2 innings. 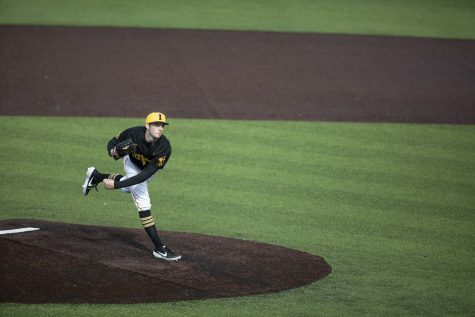 Jason Foster, Shane Ritter, and Hoffman were the only three Hawkeyes to pitch scoreless innings on Feb. 24, but neither appeared for more than 0.2 inning. 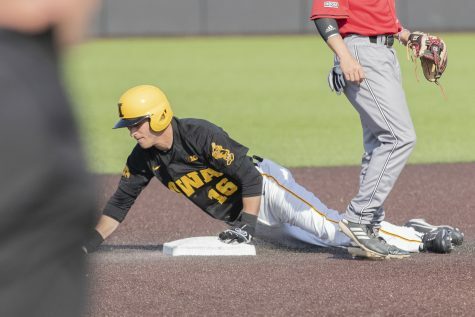 While Iowa’s pitching tailed off, Padgett and Norman stepped up at the plate. Padgett finished 4-for-5 with 2 RBIs, and Norman went 3-for-5 with 3 RBIs and a home run. Norman’s homer was his second of the season. Padgett now leads the team with a .407 batting average. Norman ranks fourth with a .269 mark, but he’s tied with Wetrich for the team lead with 2 home runs.